Katoomba Falls Tourist Park is located two kilometres south of Katoomba station and shopping centre, on the spectacular scenic Cliff Drive. 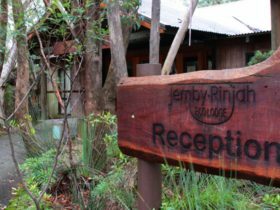 The park offers a range of en suite cabins and en suite, powered and camping sites in a quiet and peaceful location. Discover nearby the fabulous Katoomba Falls; explore a wonderland of mysterious rainforest; experience the thrills of the nearby Scenic World, enjoy a moonlight stroll to the floodlit Cascades; or explore further afield. 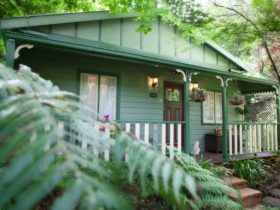 Follow the Blue Mountains Drives to discover something a little different – Kings Tableland, Dante’s Glen, Wentworth Falls Lake, or the various villages. 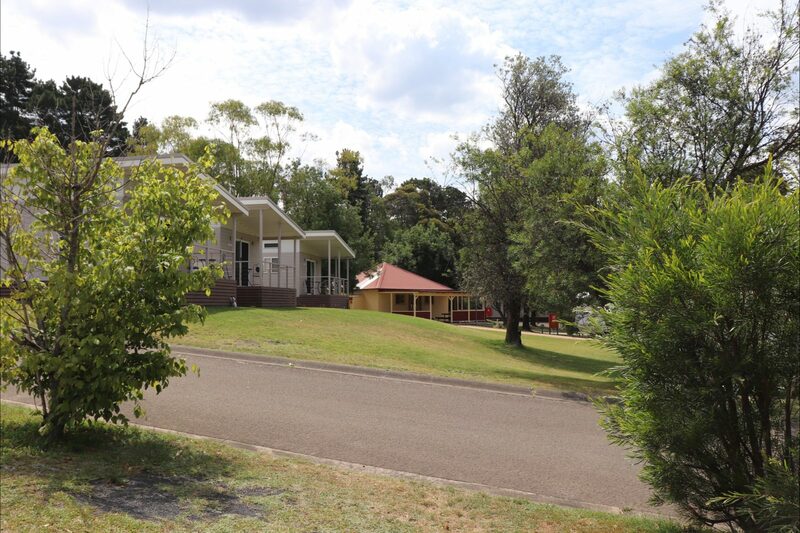 The Wentworth Cabins are lovely modern two bedroom cabins with a queen sized bed in the master bedroom and two sets of single bunk beds in the second bedroom. Fully self-contained they are ideal for either a short getaway or longer vacation. 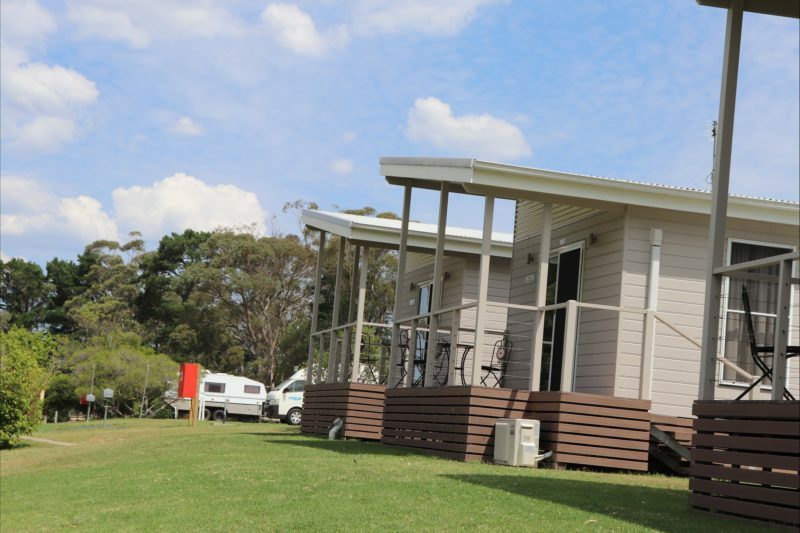 The Blaxland Cabin is the newest addition to their cabin range. Queen bed in master bedroom, two sets of single bunks in the second bedroom. Small living/dining/kitchen area and a bathroom with shower, toilet and vanity. The cabin has a veranda with outdoor setting for two people. 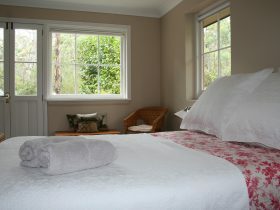 The Wilson Cabin is an accessible cabin, suitable for guests requiring wheelchair access or people with limited mobility. It is also ideal for families, with larger hallways and more spacious rooms. The Lawson Cabins are basic, budget style cabins. 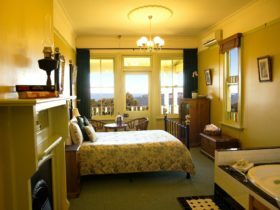 They have a double bed in the master bedroom (all bedding supplied) and a double bed with single bunk in the second bedroom (bedding/linen hire available). 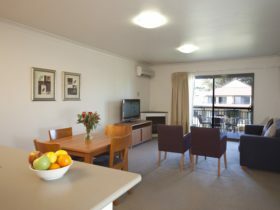 The cabin has a separate kitchen/dining/lounge area, bathroom with shower toilet and vanity and is heated and cooled by reverse cycle air-conditioning. The powered sites all have concrete slabs. Sites are ideal for motorhomes and caravans. Some sites have grassy areas next to them which are suitable for camper trailers and tents. 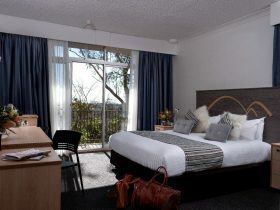 Some sites are very close to the amenities facilities, whilst others are a short walk away. Amenities block has showers, toilets, laundry and accessible facilities. A camp kitchen is available with free barbecues, communal refrigerator, microwave, and dish washing sinks. The en suite sites are powered sites with private bathroom facilities. They are ideal for families and guests who do not wish to use shared facilities. 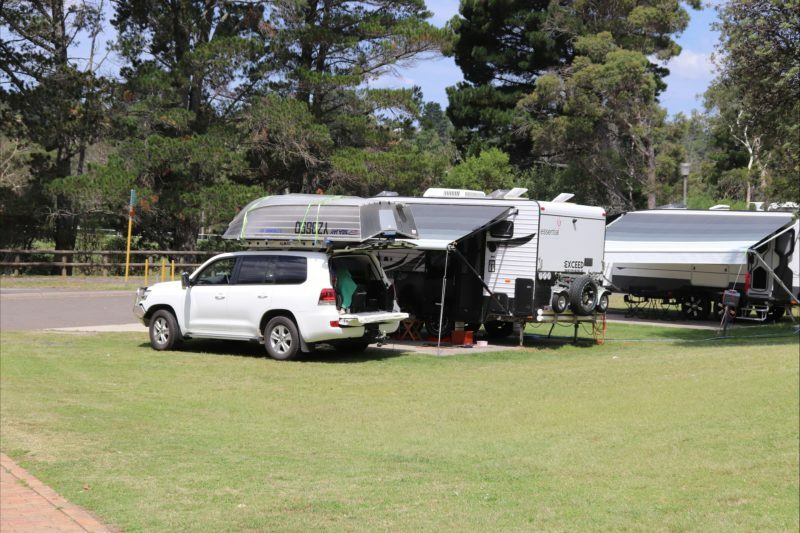 The unpowered sites are ideal for small tents or guests travelling in campervans. They are grassy sites and some border the Katoomba Recreational Ovals. The unpowered site area is located a short walk from our amenities block with shower, toilet, laundry and accessible facilities. A camp kitchen is available with free barbecues, communal refrigerator, microwave and dish washing facilities. A television room is also available.